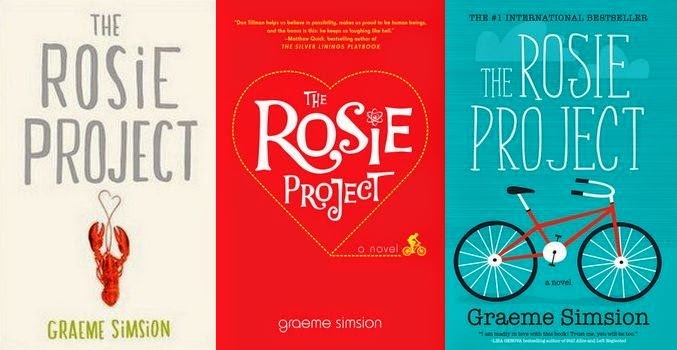 This weekend I read ‘The Rosie Project’ by Graeme Simsion; a story of one man’s quest to find a wife. The premise sounds like the beginnings of a predictable boy meets girl offering – The Rosie Project is so much more than a conventional love story! This is what makes it all the more heartwarming, hilarious and refreshing to read. I could not put this book down. It’s very rare that a book makes me literally laugh out loud in public places or connect with a character on a meaningful level but The Rosie Project took me by surprise. Don Tillman is an Australian born genetics professor, his world is carefully scheduled through Standardized Meal Plans and excessive watch checking. The Rosie Project is written from Don’s perspective; because of this we can delve into his wonderful mind, share his most intimate thoughts and try to make sense of his unique way of viewing the world. His day revolves around avoiding eye contact, bodily touch and meaningless interaction with those around him. He is incredibly intelligent, gifted and honest, he is also incredibly isolated by his own idiosyncrasys – making him endearing and lovable in the oddest of ways. Don has never been on a second date with a women and devises a scientific test, ‘The Wife Project’, to find the perfect partner… then he meets Rosie. Through careful analysis he determines that Rosie is without a doubt the most ‘incompatible women in the world’ however against all odds a friendship develops – increasing his friend count to 3, thus throwing his well organised, safe, structured world into disarray. Don starts to feel things for Rosie he deems to be illogical and unexplainable – he believes he is incapable of empathy and love, so dismisses them. Don becomes more flexible, adventurous and perhaps even more reckless on his journey with Rosie and in turn she becomes more accepting and hopeful. Rosie and Don’s relationship is utterly charming and brutally honest. They bring out the best and worst in each other. The Rosie Project is a carefully cultivated modern day fairy tale, extraordinarily witty and touching. Don Tillman is one of the most lovable and beautifully written characters of our generation – I can’t tell you how excited I am that a sequel is currently in the works and that his story is not over. "Book Review | The Fault in Our Stars by John Green"